JGC Gravity Concentrators – JK Machinery s.r.o. JGC Concentrators are designed to divide base material flow into two fraction – light and heavy. 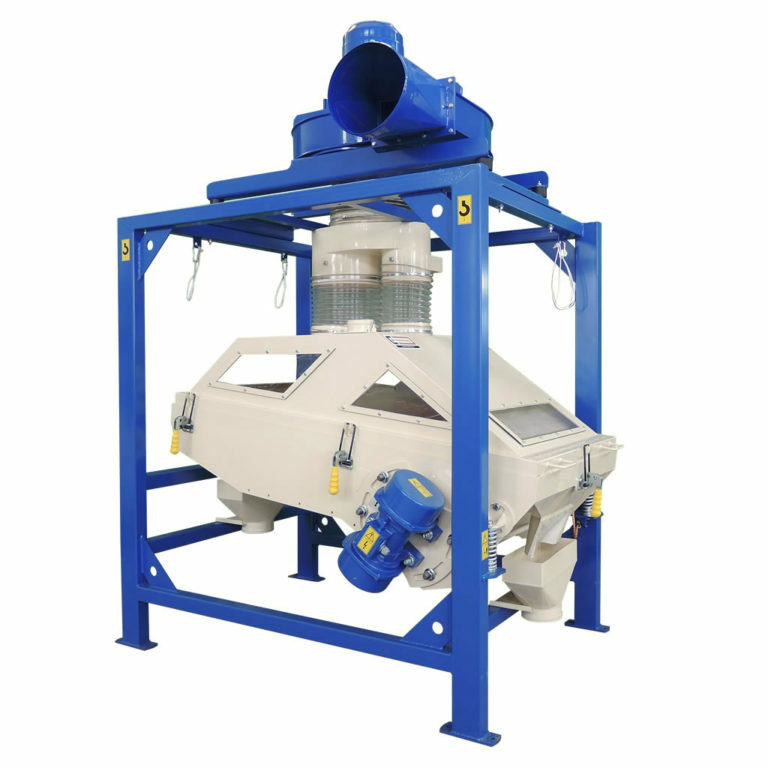 Machines are used in processing plants such as sowing seed cleaners, flour mills, oat mills, dehulling plants etc. Sorted material is fed to inclined sieve, where fluidized bed is made by vibrations and passing air flow, leading to stratification of cleaned materials light on top and heavy in the bottom. Lighter material flows down the sieve, due to vibrations of sieve, heavier material gets upward on the sieve. Single fractions fall through flaps into outlet funnel. According to input material, it is possible to adjust sieve inclination, amplitude of vibration, angle of particles throw and amount of exhaust air. 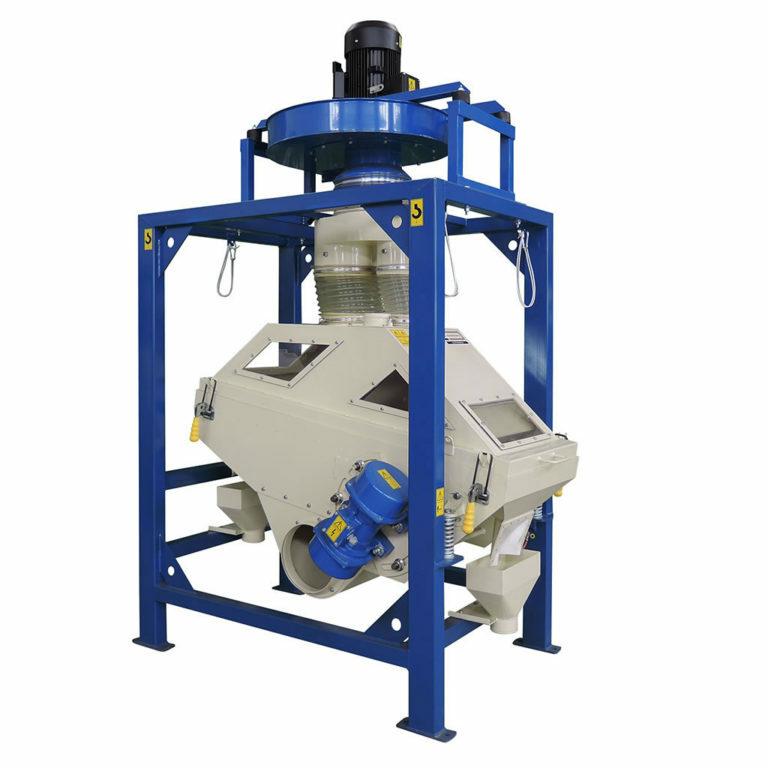 Machine is also capable to remove impurities with a slightly different bulk density. Aspirated air should be cleaned by cyclone separator or by filter. Dimensions and weights mentioned without air fan. Capacities are for wheat. Material transported to JGC Concentrator has to be cleaned on sieves and by air. Amount of exhausted air is greater for heavier materials (eg legumes) and less for light materials (eg sunflowers).